This Law says, work expands to fill the time available for it’s completion. 1. Chop your tasks into chunks, and force you to set a specific timetable for accomplishing them.We can not eat an elephant in one go. Its wise to cut the big task in to pieces & set defined target to finish each task. This will keep track of all the activities & alarm when ever any critical activity is going behind schedule. 2. Make a rule to do mandatory, XYZ activities before 10 am & set fix period for remaining job. These activities are done daily without fail. Thus we shall give priority to these activities before proceeding to the long running tasks. 3. Stop working late & manage all activities within office times.If we are working late, we shall analyse & ask “why” we need to stay back in office. We shall be efficient enough to manage all task within office hours. We shall preserve after office hours for personal life. work life balance is very essential for managing stress in challenging environment. 4. Limit tasks like responding to email/Social Networking to thirty minutes a day.Social networking viz. facebook, watssapp, twitter is eating away chunk of time without adding any value to our life. We shall be very careful & use these things very carefully & in way that, time shall not be wasted. 5. Fill in time gaps with filler tasks like following ups, feed reads, Email checking, planning other day etc.Learning is never ending process. We shall keep on learning by way of reading, doing, certifications etc. The time, which we get in between shall be used for adding value to ourselves. Videos are the best way of self development. We are developing videos for supporting the zeal to learn. This video takes an example of a Boiled Egg company- ” The Egg Factory” to make you understand the various types of waste in a process. this also explains how to identify these wastes, so that actions plan for eliminating these wastes can be worked out. There are many type is waste in any industrial process. These are categorized in 8 types. 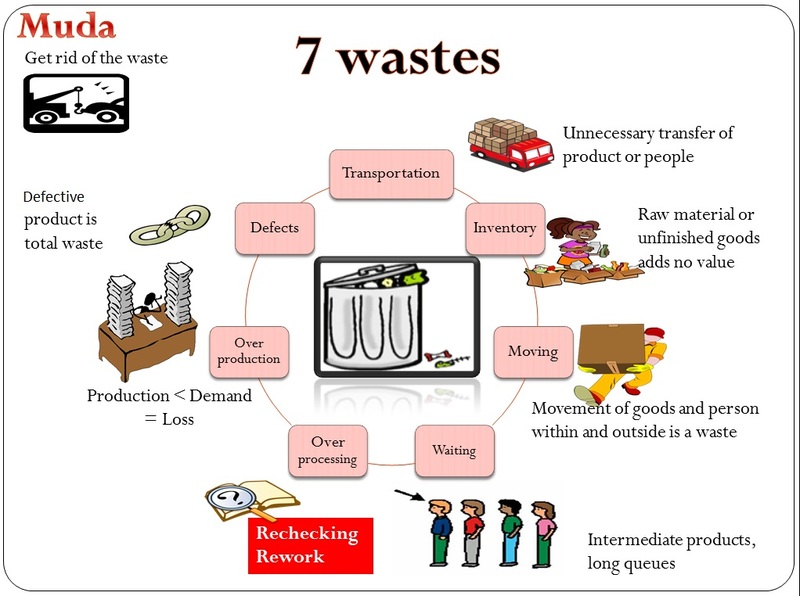 The training video tells about types of wastes in an industries & how to identify them. Kaizen is japanese term representing continuous improvement (KAI=Change, ZEN=GOOD). The kaizen training module tells about history, importance & process of implementing a kaizen system in any company. 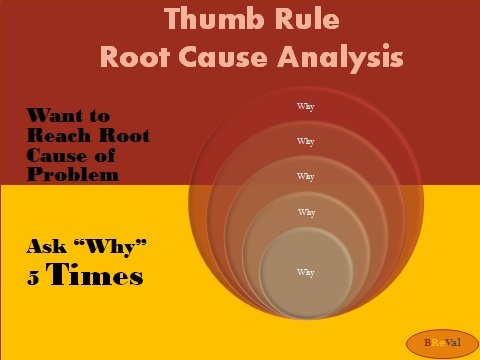 The video explanes kaizen in very simpler & easy way. Single tasking is the new multitasking. Which is better Multi Tasking or Single Tasking? The Video will give you all your answers. 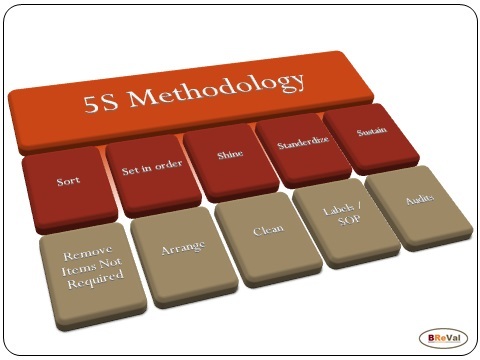 The Red Tag system is very important for successful implementation of 5S-SORT process. 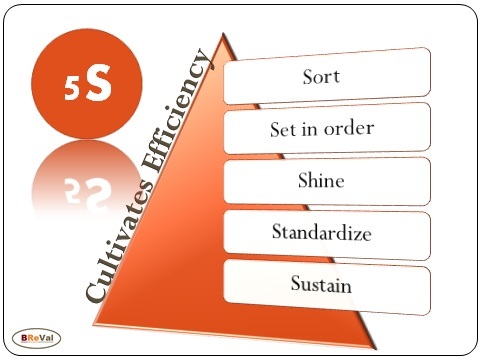 This the first step of 5S, thus very important for successful implementation of complete 5S process. 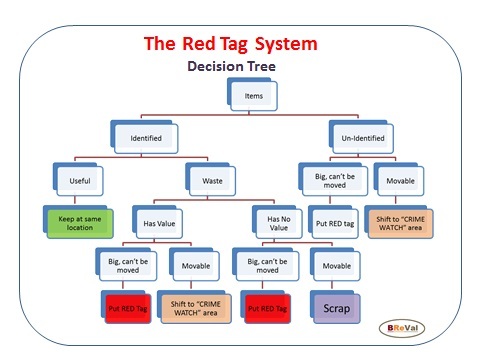 The Video explains how Red tag is to be used. You can Buy red tags here. Start Following us on Facebook page, Pinterest and Linkedin. You would also like to visit our shopping cart for lean utilities. We may believe, that we can multitask. Off course we can, but lets think what happen to our efficiency level. this small game will give insight, how multitasking impact our efficiency level. Play & analyse your strengths. Right click & open in new tab. Posters are great way of visualization the power of learning. The poster should convey the message. The Poster should be in language of people. Posters should use pictures, graphs etc. Posters should be interactive, They should talk with people. Poster material should be long lasting. Posters should be smart and has capability to link with people. Poster size, font size should be visible. Many online tools are also available, but these are the very basic tools, which will full fill majority of the requirement.Go ahead & create your own posters. Think freely & innovate something new and benefit the society. Ohno Circle tool was developed by Taiichi Ohno, the father of Toyota Production system. The main purpose of this technique is to observe & identify waste around us. Choose a location in your work environment. Silently stand and observe for 30 minutes. Observe the process flow, floor layout, materials, persons, etc. Write all observation that result in any kind of waste, viz: space, energy, time, motion, waiting, transportation, safety, abnormalities, concerns that you feel can be done in better & efficient way. Take pictures, if possible for future record. Hidden wastes will become visible. Dedicated actions on observations will improve efficiency. Develop Team to observe the things. Elimination of 7 wastes and ease effort needed to search for or retrieve tools and supplies. Do things in a consistent and standard way. Formulate standardize procedures for activities, instruction, schedules, checklist for helping keep the workplace clean and organized. Standardize work area layouts and storage techniques wherever possible. 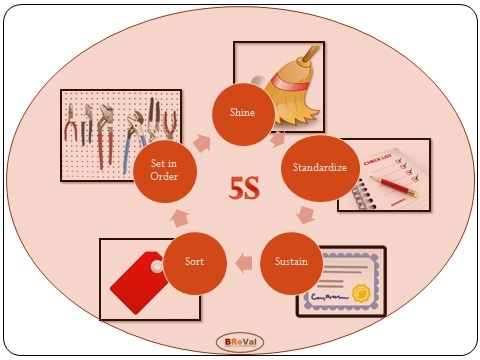 Visual Management implementation for ease of maintaining standardisation. 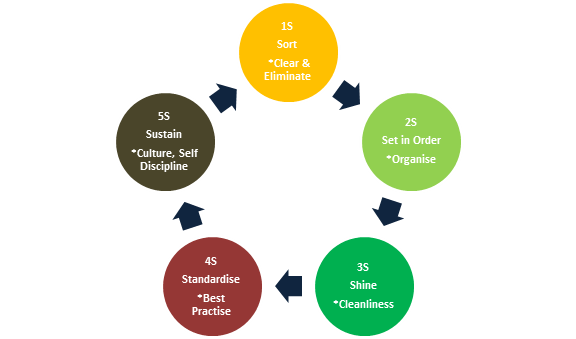 Integrate 5S principles into the organization’s objectives in order to sustain new standards and continually improve the workplace. We have designed special products for 5S like Red tag, Posters, Lean Storage etc. Please visit our Online shop.